FLIR Systems Australia announces the release of a new range of thermal imaging cameras for home security applications. Thermal imaging cameras from FLIR Systems are used the world over to protect the perimeters of industrial parks, airports and harbours; the same security solution is now available in an affordable version for home security. The newly released FLIR FC-Series S is an affordable and environment-friendly solution for the home. These thermal security cameras offer several advantages including ability to operate in any lighting condition, user-friendly operation and zero maintenance. Unlike other night vision systems, thermal imaging cameras detect the thermal radiation in the environment, translating it into a visual image. FLIR thermal imaging cameras can, therefore deliver 24/7 imaging capability regardless of lighting conditions. Additionally, thermal radiation penetrates atmospheric obscurants better and farther than visible light, allowing images to be seen through haze, smoke, dust and even light fog. Thermal imaging cameras do not have the limitation of conventional CCTV cameras that rely on colour contrast to provide enough information for the viewer to detect a threat. Even at moderate ranges, weak contrast can render these cameras useless. 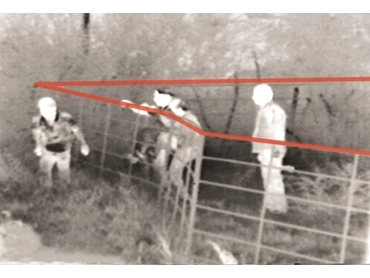 However, the contrast on a thermal image is usually much bigger, due to the difference in temperature between a person and his surroundings, allowing the person to be detected at a longer distance. Moreover, FLIR thermal imaging cameras eliminate all issues associated with normal CCTV cameras that require adequate lighting to monitor areas. For instance, there is no need to install expensive, intrusive, energy-intensive and maintenance-dependent lighting in areas without street lighting. Powerful FLIR Sensors Manager 2012 software ensures that any occurrences are immediately brought to the owner’s attention. The software contains a video analytics module with video motion and target detection. The user can place virtual trip wires; when someone enters the perimeter, a silent alarm will go off and the images that caused the alarm will be shown so the user can immediately determine if it really is a trespasser or an ‘unwanted’ alarm.